Featuring a classic frame design and a vast selection of styles, the Reflections 5500 series represents the upmost in energy efficiency and long-lasting beauty. Available with the most popular designer options and high performance glass packages, you can customize 5500 windows and doors for your home and lifestyle. Features & options are not available on all styles. Series may not be available in all areas of the country. Available in a 2-lite style with two operable sash or in a 3-lite configuration with an operable sash at both ends of the window, the Simonton Reflections® Slider is as beautiful to look at as it is easy to use. 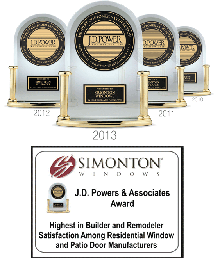 Combine Simonton Reflections® Casements to create a dramatic wall of windows. Or use them individually to add a touch of drama to a room. This window is loaded with features that make it more durable, easier to operate, and a breeze to clean. This window swings outward from the bottom, allowing you to catch a breeze, even if it’s raining. Use it as an accent in combination with other windows. Or use it on its own. Either way, you’ll give your room an added touch of ventilation and light. The Reflections Picture window provides an unobstructed view and can be configured beautifully with the other styles available in the 5500 series. However it is used, you’ll love the open feeling of a Picture window. Choose from a variety of existing shapes, including Half-round, Quarter-round, Eyebrow, Circle, Oval, Octagon, or Trapezoid. Or, if you prefer, combine with other window styles to create a custom configuration. Whatever you decide, you’ll have a window that is both durable and beautiful. The 3-window Bay is perfect for a cozy kitchen area or any room where plentiful sunlight is desired. Head and seat boards come in Oak and Birch veneer and can be painted or stained. And they’re as well-built as they are beautiful. The Bow window, available in a 3-, 4-, or 5-lite design, will add a dazzling splash of light to any room. Head and seat boards come in Oak and Birch veneer and can be painted or stained. And they’re as well-built as they are beautiful. Available in custom sizes, this style features two side windows that can be opened or closed with a simple turn of a crank. Seat boards come in white Pionite® laminate or wood veneer in either oak or birch and can be painted or stained. The Simonton Reflections® Garden Window boasts a variety of great features. 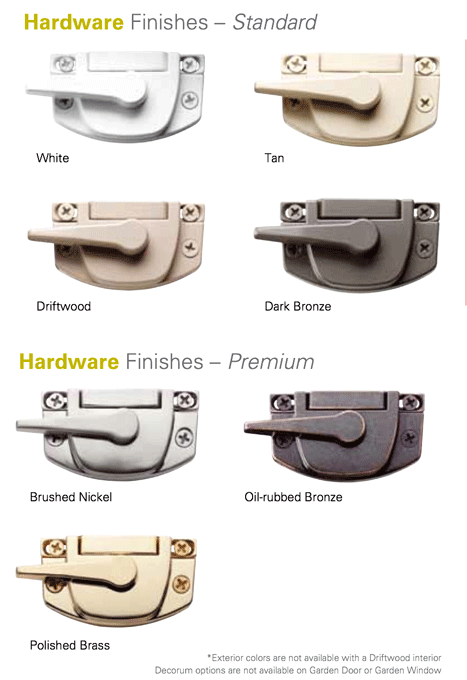 These are the windows and door styles available in the 5500 Reflection Series.